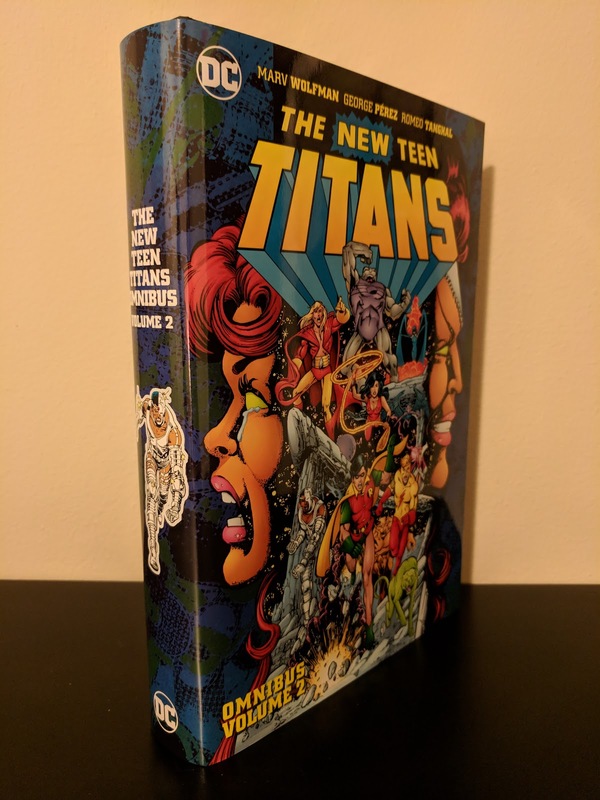 The New Teen Titans Omnibus Vol. 2 (New Edition) - Collecting The New Teen Titans (1980) #21-40, Annual #1-2, Tales of the Teen Titans (1984) #41, and Batman and the Outsiders (1983) #5. This collection was released earlier this year and is the second installment in the set of new editions of The New Teen Titans omnibi that looks to more comprehensively collect the classic DC comics run spearheaded by creators Marv Wolfman and George Pérez. 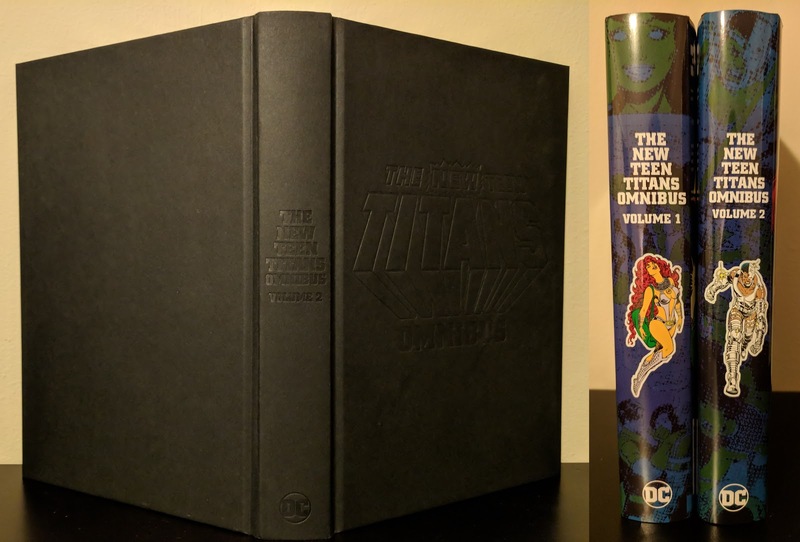 The contents of this volume differ slightly from the original edition released in 2012 (that edition also included the first three issues of The Judas Contract story arc). These new editions move the entirety of that arc to the beginning of volume three, which was released last month. 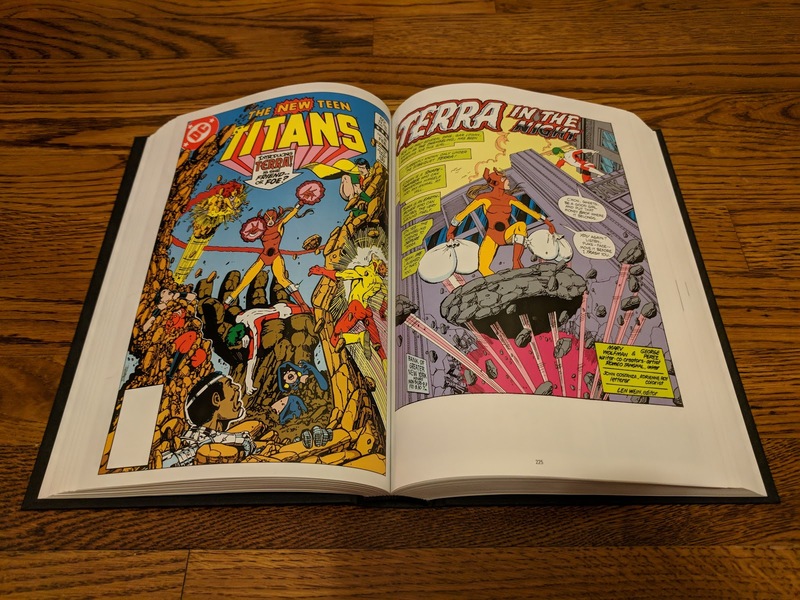 This volume up directly following the events of volume one and starts off with the introduction of Brother Blood, the leader of The Church of Brother Blood from the small nation of Zandia, and a new villain for the Titans to oppose. 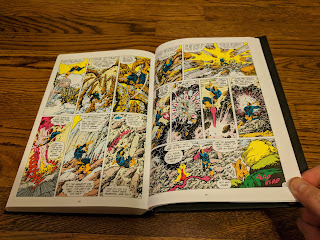 Wolfman and Pérez use Blood's introduction and political manipulation to bookend the chunk of issues reprinted in this volume. In between the Blood-centric stories, they take the Titans into space to combat Starfire's sister Blackfire (with the help of Superman and the Omega Men), then return to Earth where their roster shifts a bit as they meet very real world issues head on. We're also introduced to Terra, a new ally (or is she?) who can control and manipulate land, Thunder and Lightning (powered twins searching for their biological father), and the aptly named Vigilante (I now know his comic book origin after seeing him on tv's Arrow). 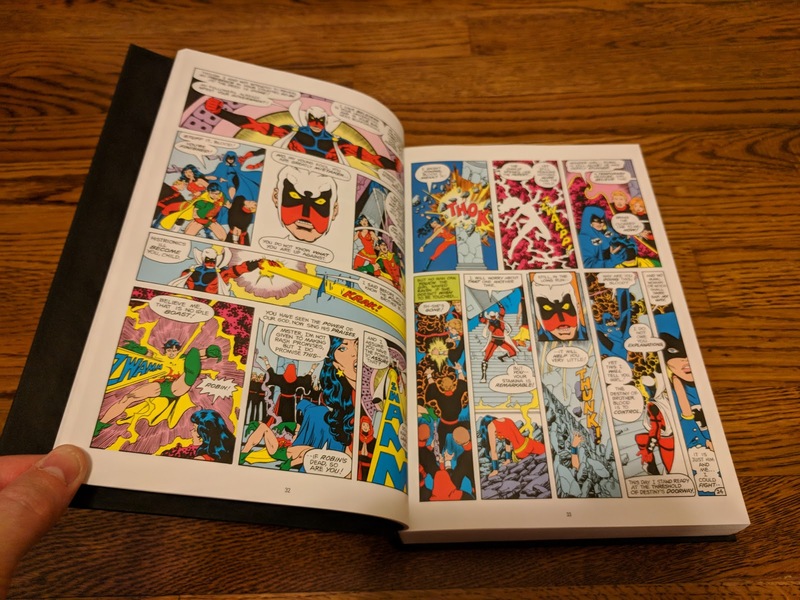 Deathstroke seeds further plans in his ongoing efforts to destroy the Titans and there are even a couple of guest appearances from part-time Titans Speedy and Aqualad. Having never read this material before, I was very impressed with the diverse range of stories that Wolfman and Pérez told throughout these issues. Even more so when considering the time in which they were originally published. The themes they tackled were pretty forward-thinking for the early '80s (cults, teenage drug-use, domestic abuse, PTSD, divorce), many of which are still very relevant today. 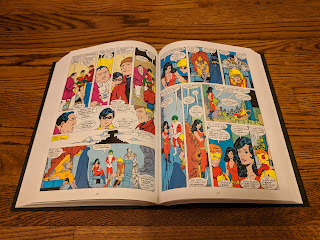 This chunk of issues also shows a good bit of character growth not only for the team as a whole, but particularly for the likes of Robin, Wonder Girl, and Kid Flash. Marv Wolfman wrote everything collected here, sharing co-plotting credit with Mike W. Barr on the two-part crossover between The New Teen Titans #37 and Batman and the Outsiders #5. 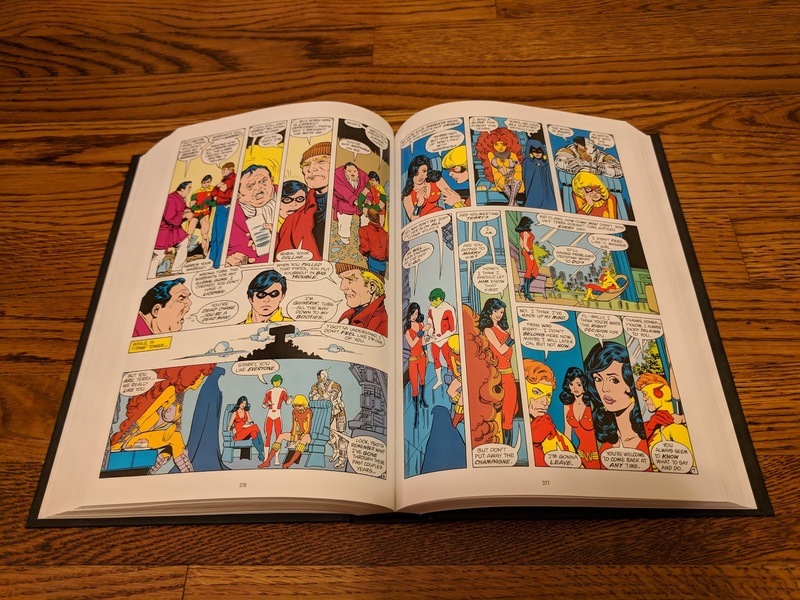 Similarly, George Pérez drew all but two issues (Keith Pollard penciled The New Teen Titans #35-36) in this volume, and Romeo Tanghal contributed virtually all of the ink work (with the exception of a couple of issues that Pérez inked himself). The Wolfman/Pérez/Tanghal team is comic creating at its finest, and I really wish that I had been exposed to this run earlier. There is a nice introduction to this volume by Marv Wolfman written in 2008 (presumably from a previous printing of some of this material), but no other extra/bonus material of any kind. 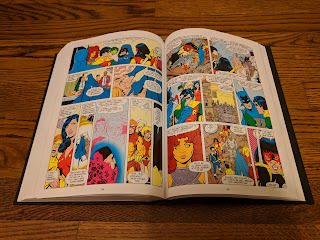 No character bios or pin-ups like were included in the Wonder Woman by George Pérez omnibi (I realize that this run pre-dates that material by a few years). Maybe there just wasn't similar, relevant material for this series at the time. The cover under the dust jacket is the same plain, flat matte black, debossed design as volume one (and a number of other DC omnibi collecting material from that era). This volume also sees the title change names from The New Teen Titans to Tales of the Teen Titans with issue forty one. I had originally planned on taking a break between reading volumes two and three, but this collection sucked me right in and I burned through it in a week (half of it in just the last couple of days). Knowing that the highly regarded Judas Contract arc kicks off volume three, I think I'm going to carry this New Teen Titan momentum forward through that collection. My only problem then will be waiting for the release of volume four next May.